Winter Interim Business Meeting (WIBM) brought together about 60 Friends for a day of lively fellowship as Friends worked together on important issues. 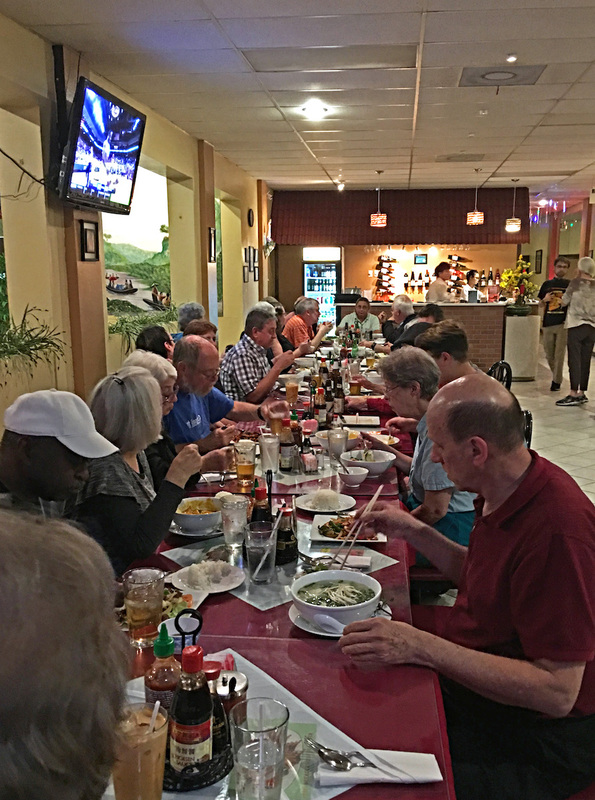 The gathering was held Saturday, January 19th at the Orlando Meetinghouse. IBM Clerk Nancy Corindia gathered us into worship at 9am. Committees meetings were held in the morning, and business meeting began around 1 pm, after an amazingly good lunch provided by Orlando Friends. During the Roll Call of Meetings and Worship Groups, we learned that a new worship group, St. Augustine Friends Worship Group, has been formed under the care of Orlando Meeting; and that two meetings have started mid-week evening worship to reach out to young adults. Kody Hersh has started working in his new SEYM staff position as Youth & Young Adult Coordinator. 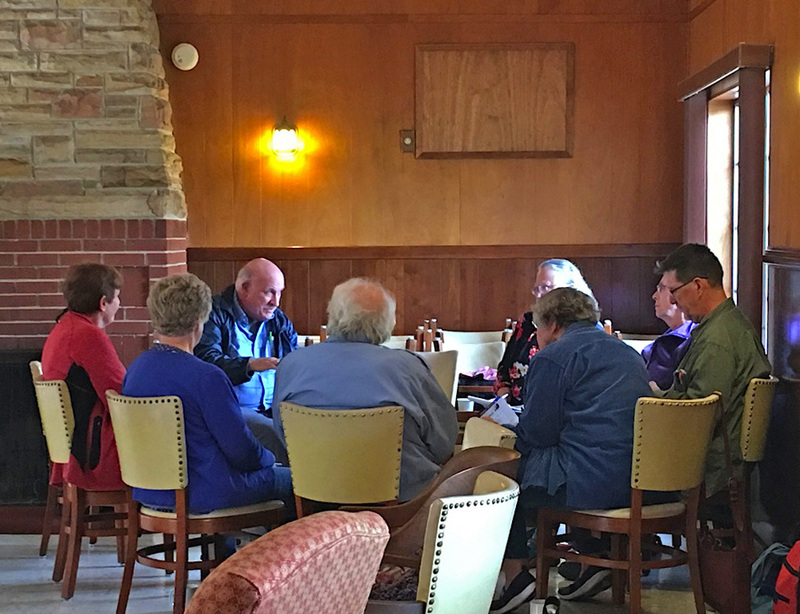 A member of Miami Meeting, he has just moved back to Florida from Philadelphia, where he had been working with the youth in Philadelphia Yearly Meeting. He is now living in the cottage at the Orlando Meetinghouse. Plans for his first few months’ work are being finalized with the Youth Committee, who will serve as a Support Committee. Nominating Committee clerk Ellie Caldwell reported that there are several open positions, including IBM Recording Clerk, CAPP Coordinator, and AFSC and FGC Representatives. Additional members are also needed on the Trustees, Finance and Gathering Committees. Friends approved the nominations of Nancy Corindia as EC/IBM Clerk, Nancy Howell as Yearly Meeting Assistant Clerk, Susan Taylor as FGC Representative, and Caroline Kaufmann as Gathering Bookstore Coordinator. 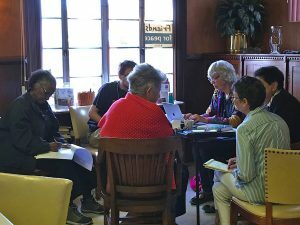 Worship and Ministry co-clerk Clara Diaz reported that they are planning a workshop for the SEYM Gathering, The Language of Love: Speaking and Listening in the Spirit. They are also looking for three more volunteers to convene Worship Sharing groups at the Gathering. The committee took up other issues including vocal ministry and support for new or small meetings and worship groups. The Ministry on Racism Committee has been concerned not only with racism, sexism, and other ‘isms,’ but also with right relationship with indigenous peoples. Co-clerk Susan Taylor pointed out that we were gathered on ground where Timucuan people once lived, and invites Meetings to find out what indigenous groups lived in your location. The committee asked Friends to call Mitch McConnell to urge an end to the government shutdown, noting that people of color and indigenous groups are feeling the brunt of its effects. The committee is planning a workshop on micro-aggression for the SEYM Gathering in April. Tallahassee Meeting is establishing a “Community of Remembrance,” working with the Equal Justice Institute. 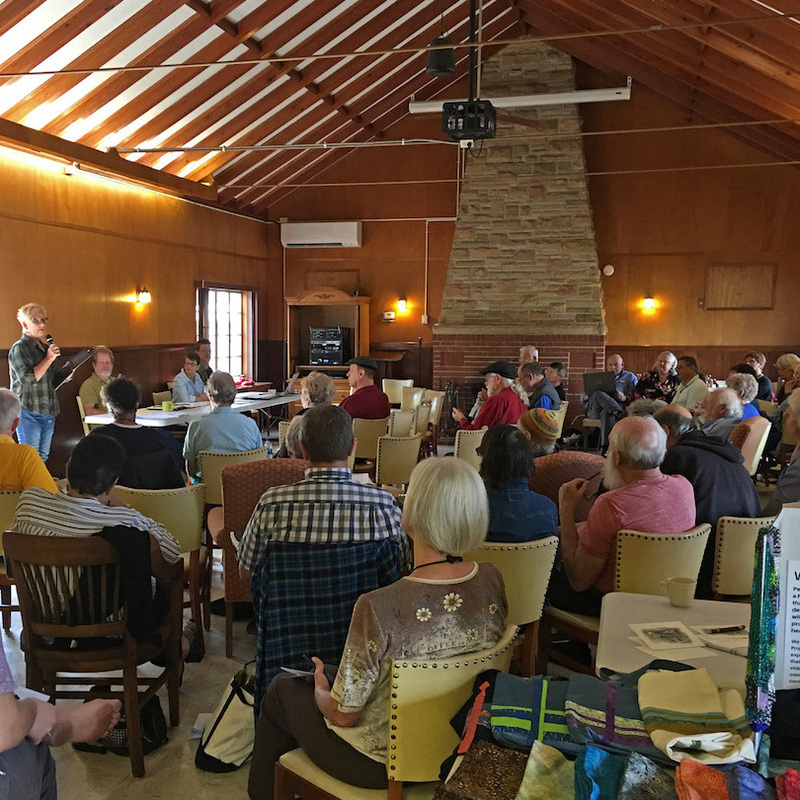 The Earthcare Committee has drafted a “Testimony to Earthcare,” which will be sent out to the Meetings and Worship Groups for comments, with the hope of approving this faith statement at Yearly Meeting in April. The committee has also initiated a review of the Field Secretary for Earthcare program, with a view to begin including it in the General Fund Budget. There will be two earthcare workshops at the SEYM Gathering. Karen Putney gave the FCNL Representatives report. Many SEYM Friends attended the Quaker Public Policy Institute in November to lobby members of Congress. A report on the event, which drew 400 participants, Prophetic, Persistent, Powerful, can be found on the FCNL website. An impromptu report on American Friends Service Committee was given by Richelle Ogle (St. Augustine Worship Group), who works for AFSC. As part of their ‘Love Knows No Borders’ campaign, AFSC convened faith leaders at the Mexican border on December 10th. 32 people were arrested, and the protest was reported in over 2600 articles and videos across the country. She recommends Friends read Why I Got Arrested at the Border, a Friends Journal article by Lucy Duncan (who will be one of our Walton Lecture & Retreat leaders at the SEYM Gathering). Richelle also talked about the under-reported work of the AFSC-Miami staff, who do tremendous work helping immigrants, even defending them in court. Kathy Hersh related how AFSC-Miami’s assistance to Miami Meeting’s work of providing sanctuary to an immigrant family (Morena and Antonio, from El Salvador), had brought the two organizations much closer together. Eduardo Diaz encourages Friends to go to the FWCC Section of the Americas meeting in March, which has the theme “Come and See.” This gathering will bring together Friends from different branches of the Quaker tree. SEYM’s Joel Cook (Treasure Coast) will be one of the featured speakers. 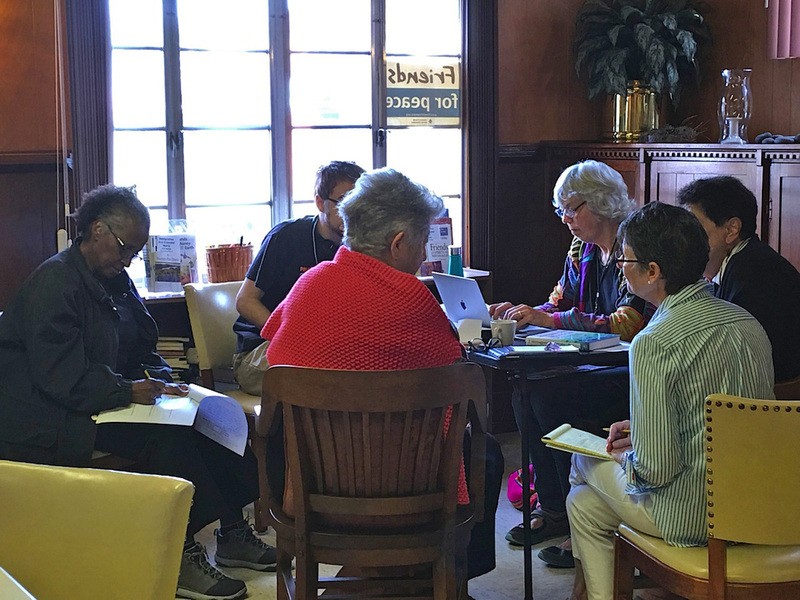 Cece Yocum reported on the work of Friends Peace Teams (FPT) and Peacebuilding en las Americas, their Central American initiative which brings Alternatives to Violence Project (AVP) and Trauma Healing workshops to people in Guatemala, Ecuador, Colombia, and El Salvador. AVP facilitators in Nicaragua are now organizing and making connections with PLA. Friends heard several other reports during the day. Joel Cook presented his Treasurer’s Report for the second quarter of our Fiscal Year 2018-19. 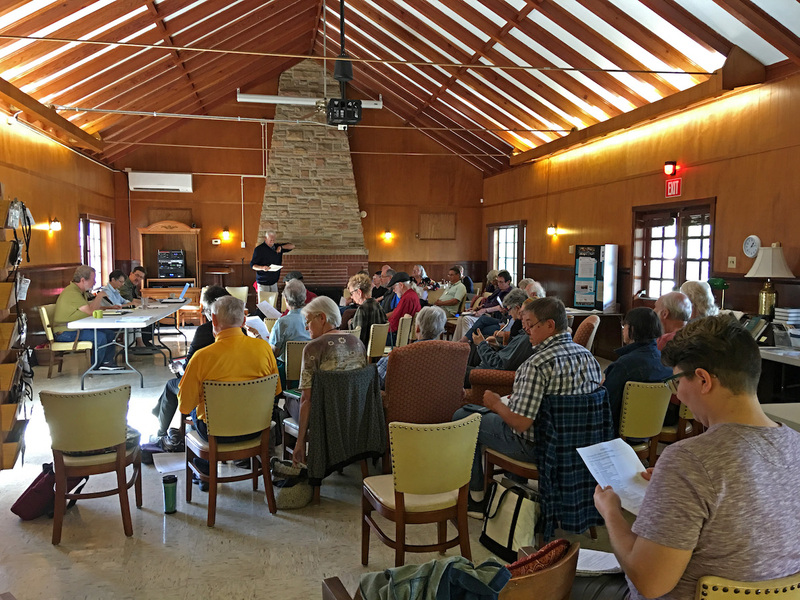 Jack Bradin shared news from Quaker Earthcare Witness (QEW), speaking eloquently about their decades of work to nurture the spiritual ground of Friends’ unity with nature. Warren Hoskins, reporting for the Quaker United Nations Office (QUNO), said The UN is working on a bold agenda that includes reforms and a global compact on migration. The meeting closed around 4 pm. 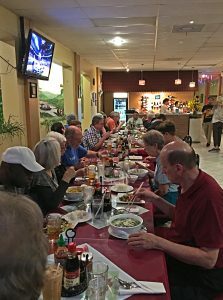 Friends went dinner at a local Vietnamese restaurant. The WIBM Minutes will be posted soon. Corrections: an earlier version of this article said Morena and Antonion were from Guatemala; they are from El Salvador.